Please Note: This product is a Replacement Accessories. Cover Only, Without Shelf. 1. Material: high-quality PE material. 2. 100% waterproof, UV resistant, to provide enough space for the plant, perfect ventilation. Size: about 100 * 50 * 150cm/29.37 * 19.69 * 59.06in, suitable for racks smaller than 100 * 50 * 150cm. Perfect cultivating and ripening tomatoes. Regulate the temperature inside the greenhouse by opening or closing the door. 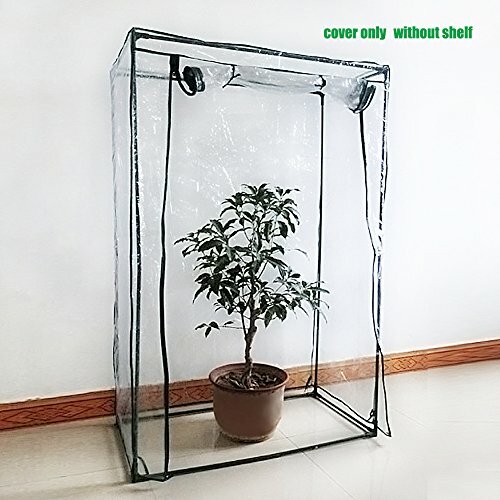 PE cover provides protection for plants in any weather.